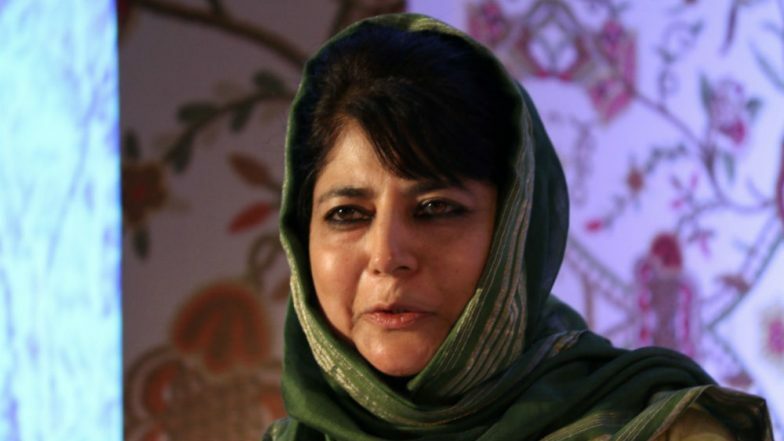 Jammu, April 11: The Bharatiya Janata Party (BJP) on Thursday demanded the arrest of former Jammu and Kashmir Chief Minister Mehbooba Mufti on charges of instigating people to break the law. Speaking to reporters here, BJP spokesman Sunil Sethi said: "An FIR should have been registered against Mehbooba Mufti for her statement instigating public to defy a vehicular ban on (Srinagar-Jammu) highway on Wednesdays and Sundays." The spokesman said politics in the state had touched its lowest ebb. My Father Held ‘Jinn in Bottle’ by Aligning With BJP: Mehbooba Mufti.